Starting out as a unit production manager in Romania's film industry more than two decades ago, Ada Solomon felt she needed to punch above her weight. 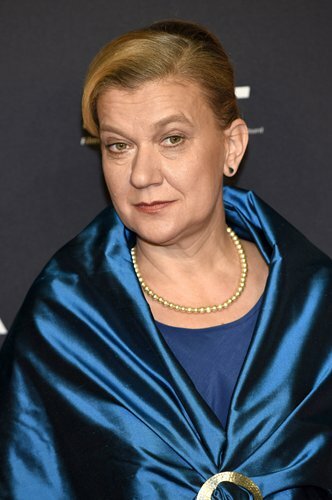 But after fighting with crew on set early on in her career, Solomon, now a producer of some of Romania's most internationally renowned films, took the advice of an assistant director that she would get farther by staying calm and treating them as partners. "It was perhaps the first lesson in movie production I ever got," Solomon told Reuters at the office of her production company, HiFilm. "Since then, this is how I've functioned with my teams." Today, Solomon is one of Europe's leading film producers and the woman behind some of the most critically acclaimed dramas of recent years, including Berlinale winners Child's Pose and Aferim! and the Oscar-nominated Toni Erdmann. The increasing role of women in Romania's film industry was the main focus of the Making Waves Romanian Film Festival that came to an end in New York on Wednesday. Celebrating its 13th year, the festival devoted a section to films directed by women, including this year's Berlin Golden Bear winner Touch Me Not, an exploration of intimacy by Adina Pintilie, as well as the thriller Moon Hotel Kabul, which won Anca Damian the best director prize at the Warsaw International Film Festival. Ten out of the festivals' 17 films were produced by Solomon. The former communist country has emerged as a powerhouse of cinema over the last two decades and much has been made about the Romanian New Wave, a genre of naturalistic and unflinching films that have been consistently winning top prizes such as the Palme d'Or in Cannes and awards at the Berlin and Venice festivals. "Over the last two years or so, the number of female directors has grown visibly," said Anca Damian, who first won praise for her 2011 animated feature Crulic - the Path to Beyond. "You can feel the wind of change. A decade ago, a woman had to make films for children. There were moments when you felt like you didn't exist in the film community, you were just transparent," she said. "But I've always felt that what I wanted to say has pushed me forward." Documentary filmmaker Mona Nicoara said Romania's economic growth also helped. There are more women working in the industry overall, from editors and cinematographers to camera operators. "Barriers that used to exist are no longer in place, there used to be few female directors, few women in general in the industry," said Nicoara, whose documentary about the dissident poet Nina Cassian screened at Making Waves.